Are you an RPG Developer Superhero? Remember Plastic Man? His power is elasticity. This allows him to be flexible and agile. Key skills in today’s modern IT environment. Or Batgirl? She maximized her natural potential by learning everything she could from her mentor, Batman. We see huge opportunities in the IBM i community for experts to act as mentors. What about Superman? He is equivalent to today’s IBM i architect or an IBM i Full Stack Developer. Someone who knows multiple languages (RPG, PHP, Node.js) and is familiar with software, hardware, network and operating systems. In all seriousness, I talk to superhero RPG Developers all day long. They have all kinds of special powers that give them the ability to perform at a high level. Determination: They never give up when faced with a challenge. Curiosity: They are naturally willing to question the status quo. Resourcefulness: They leverage their connections to solve complex business problems. Flexibility: They realize the way they use to do things are not always the best way to do it in the future. Growth Mindset: They are not satisfied with what they know but rather are always looking to understand the things they don’t. If you are an RPG Developer with some of these special powers, let’s talk. Here is what is going in the IBM i community this week. News: Mainframe sales and AI will create jobs. Career: 4 dying IT jobs and the ineffective habits in IT departments. Learning: IBM Power Systems and Python. Modernization: Hype, fads and the AI revolution in manufacturing. Open source: How to avoid blame in DevOps and Open source packet management. “The best-performing segment of IBM’s business against expectations was, again, the legacy mainframes business.” The mainframe continues to live on by expanding into new areas. It has been said before, what’s old is new again. As new technology is moving in, we all must be open to change. “For those IT professionals who enjoy continuous learning and new challenges, that’s a boon. However, it also means that some roles are undergoing more than just a shift.” This article paints an interesting picture. How do you think this relates to the IBM i market and RPG Developers? We all have bad habits and they often times creep into our daily work and become engrained into the culture of our IT departments. The one habit that stands out in this article that I see all too often applies to both hiring and one’s own career growth. In hiring, there is “too much emphasis on finding someone with the right skills, as opposed to one that is willing to learn new ones.” On the flip side, far too many individuals are unwilling to learn new skills. If you are looking to gain some insight and a better “understanding of a new architecture of the IBM Power System E980 (9080-M95) server that supports IBM AIX®, IBM i, and Linux operating systems (OSes).” Then you should take a look at this Redbook. It will introduce you to what IBM Power Systems are capable of. 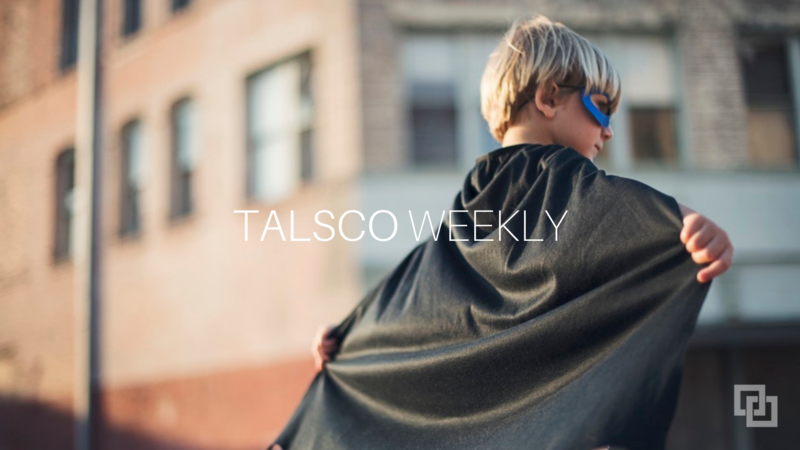 Do you know of an RPG Developer who could benefit from Talsco Weekly? If so, please use the social media buttons to spread the word. Thank you!